This article was originally written for and published in the December 2018 issue of ITDP’s ‘Sustainable Transport’ magazine. Urban transportation can affect the quality of the experiences that shape the developing brain— for good and for bad. It affects access to healthy food, healthcare, childcare, and other key early childhood services. The quality of transportation and planning affects the extent to which pregnant women, babies, and toddlers can access the services they need for healthy development: sources of healthy food, well-baby clinics, and other primary healthcare, childcare, parks, and play spaces. It can cause stress for caregivers. Travelling in the city can be tiring, long, stressful, or dangerous for caregivers. It affects the quality and amount of responsive care they can provide. "Investing in better mobility for babies, toddlers and the people who care for them is one of the best investments a city can make-for now and for the future." 20-minute (or less) neighbourhoods for babies. City planning for the needs of pregnant women, babies, and toddlers starts with understanding where they live and where they need to go. Shortening distances to key early childhood services is one of the best things a city can do for the healthy development of its babies and toddlers. Researchers at Turkey’s Kadir Has University and the TESEV thinktank have produced Istanbul’s first map of children under five by income level, and some of its municipalities are beginning to use the map to plan home visits and public spaces. In Tel Aviv, Israel, the departments of Community, Culture & Sports and Social Services are collaborating to share physical facilities to locate early childhood services closer to families. This is being piloted in five community centers with the goal to allow parents to walk to well-baby clinics. Prioritise the routes and destinations most important to babies, toddlers and the people who care for them. It’s overwhelming to think of improving every street and sidewalk in a city. 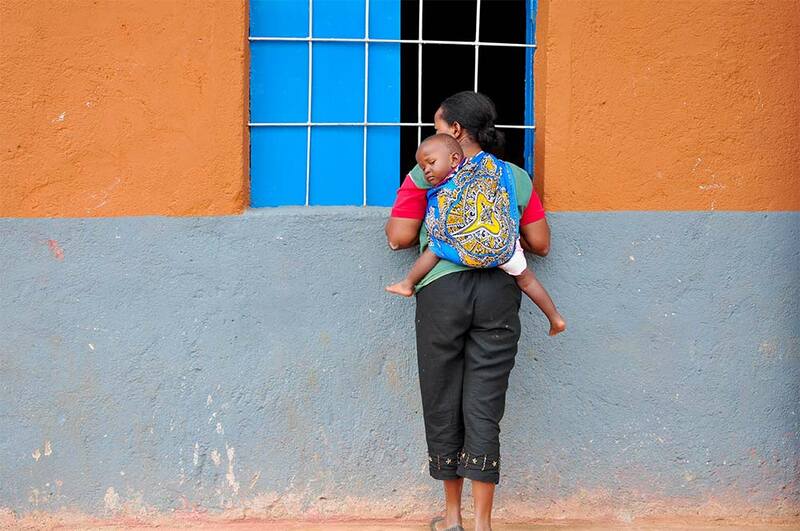 Boa Vista, Brazil is working to identify the routes taken by families to early childhood services to make them safer. The city is also working with older children to use GPS to define the routes they take from home to school and other destinations. Andres Sevtsuk at the Harvard Graduate School of Design uses probability analysis to prioritise the routes most likely to be taken by people trying to reach a given set of destinations and has applied this technique to the routes that small children take to reach playgrounds in Cambridge, Massachusetts. Design child-friendly streets. For babies and toddlers, safer roads mean both traffic safety and reducing air pollution. The Global Designing Cities Initiative is working on a Streets for Kids supplement to its Global Street Design Guide that provides technical guidance on designing streets that serve both as safer transport corridors and spaces for vibrant public life. Bogotá, Colombia is piloting some of these techniques for colourful pedestrian routes and traffic calming paint jobs in its Children’s Priority Zone. In Barranquilla, Colombia, two grownups for every two dozen children lead “walking buses” along pre-established routes to keep preschoolers and older children safe on their journeys to school. Make travel fun. City dwellers can spend hours a day in transit. Some recent projects to turn travel into moments for learning and love include Urban Thinkscape’s work to convert a Philadelphia bus stop and the vacant lot next to it into science-based early learning spaces; ImagiNation Afrika’s work in Dakar, Senegal, to promote play between parents and children on buses; and the Boston Basics inspired project in São Paulo, Brazil, to post billboard messages to encourage caregivers to talk, sing, and play with small children. Finally, regulate cars in places where small children spend the most time. Cities around the world from Paris to Jakarta have established or are considering partial or even permanent bans on cars in the city center, to reduce congestion, improve air quality, and make room for a growing population. We’d like to see this near places where babies and toddlers spend the most time, like the play streets near schools and in neighbourhoods filled with families in Los Angeles, Bogotá, London, and Libreville (to name just a few). Measures that accommodate the needs of caregivers travelling with small children could include universal transit cards or time based systems that allow passengers to transfer without needing to pay again, predictable schedules that make it easier to plan multi-leg journeys and reduce waiting times, and measures to make public transportation and sidewalks safer from harassment and violence, as well as more accessible for strollers or people juggling packages and children. Recife, Brazil—which approved a city-wide early childhood policy earlier this year—is upgrading streets, sidewalks, and stairs near the Compaz Centres, its flagship network of community centers providing services to families and adolescents. São Paulo, Brazil, has provided pregnant women with vouchers for free transportation to travel to prenatal appointments. Meanwhile, Santiago, Chile, is experimenting with anonymized mobile phone data to better understand how women move through the city.